Let’s whistle round the world. 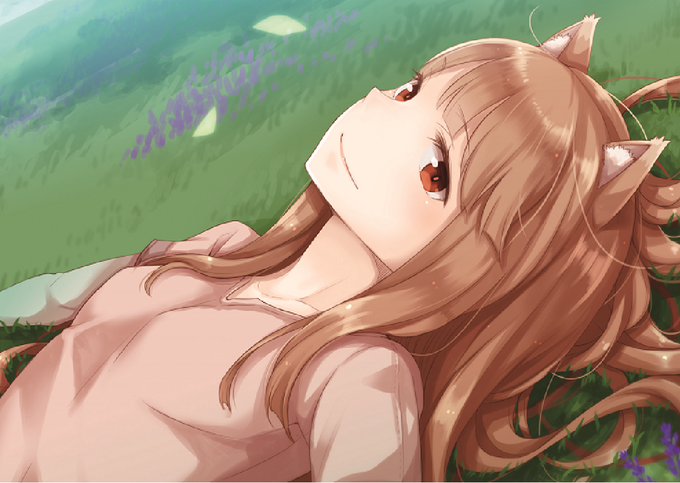 After just one day on Kickstarter, the Spice and Wolf VR animation has already met its funding goal. This round of funding comes in addition to a successful bout on Campfire (think Kickstarter for Japan), which also saw the project rake in the necessary cash quite quickly. Earlier this year Isuna Hasekura (author of the original Spice and Wolf light novels) and developer Spicy Tails, in association with the ever-present Sekai Project, released Project LUX: a multi-episode virtual reality story about murder, identity, and the concept of human consciousness. Contained in multiple episodes, the project serves as a likely proof of concept for the now soon to come Spice and Wolf VR experience. Citing “complete cooperation of the production team from the original anime,” the virtual reality adaptation will be brought to life by Ami Koshimizu and Jun Fukuyama, the original voice actors for Holo and Lawrence, as well as Hasekura and Ju Ayakura rounding out the writing and illustrations respectively. It’s all right here at their Kickstarter page if you are curious about buying into the project. Buyer beware, however, as we have recently learned with Bethesda and the recent Fallout 76 ire: all that glitters is not gold. International buyers ought to clarify shipping and handling logistics in advance of any potential purchases. Spicy Tales asks via Twitter that those queries regarding said the shipment of backer rewards should do so through Kickstarter messaging.